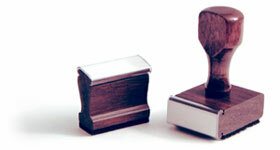 Traditional handle rubber stamps, any size from 0.125" x 0.125" right up to 6" x 10". Best for art stamping. 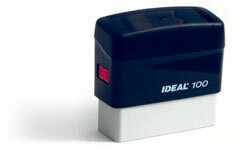 Self-inking stamps in six great ink colors! Best for general office use. Sizes available: 0.5" x 1.5", 0.75" x 2.375", 1" x 2.5", 1.5" x 3". Please note: Orders for custom stamps will be fulfilled by Design Your Own Card.com, and shipped separately from your other Rubber Trouble selections.